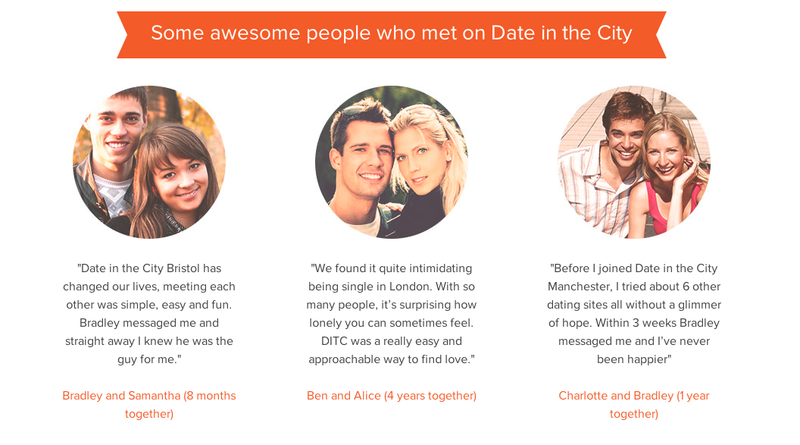 DateInTheCity.me is a casual dating site for singles living in the UK. The website exclusively caters to people living in London, Birmingham, Brighton, Bristol and Manchester giving you the option to choose your local area. The set-up is fairly simple and painless only asking you a few questions like your name, date of birth and what it is your looking for (man for woman or woman for man). It then take you to a page where you need to fill out “a little about you” where they suggest writing something along the lines of “…always makes me laugh” or “the most private thing I’m willing to tell about myself is…” which are completely cliche, so I would recommend trying to think outside of the box, but if your not very creative you can always take the suggestion. Then next page you’ll visit will be to upload a photo, you can do this now or save it for later, but just like any other sites your results will always be better if you post a picture (multiple if you have them). The next page is where they get a bit more in depth asking you about your Occupation, Marital Status, Children, Ethnic Origin, whether your a smoker or a drinker and how tall and fit you are. I always advise that honesty is the best policy. The final page asks you what your interest are, giving you a list of options and allowing you to select as many as you like. After this you will be taken to the home page of the site where you can start browsing member profiles. The home page shows a few basic categories of profiles to look through. The first being “Who’s Online” so you can instantly communicate with other members who are using the site at the same time as you. You’ll also see “New Members Today” these members are obviously new to the site, and as they say the early bird catches the worm, so you can communicate with some very attractive new members before they are bombarded with more messages then they can reply to. The bottom of the page shows “Recently Updated Photos” so you can be the first to see a hopefully provocative new pic a member has posted and be the first to pay them a compliment about it. There is also one feature I liked that a bit different then the usual dating site offerings. They have a section called “Want To Meet Him/Her” where they show you a picture of a member with a very brief description and give you three options Yes, Maybe or No and if you select yes for a member and they do the same for you the site will notify you that you have a found a match. This gives you a nice opening to start an interaction with the person with the notion your both at least moderately interested. Custom Search, use specific search terms like Age, Location or Height and even more specific terms like Interests, Religion or Ethnic Origins to find exactly what you’re looking for. You can also choose “recommended” and the site will provide a group of members they believe you are the most compatible with. Who’s Near Me shows you a detailed map of users near where you live, work or hangout. At first this seemed a bit intrusive to me and the idea made me feel uncomfortable but the site assured you that “Please note your exact location and the exact location of others will never be revealed. All locations plotted are approximate only.” and with London being such a dense cosmopolitan city it would be very hard for someone to locate your specific where abouts. The site only has a couple drawbacks I can find. Firstly, the majority of members on the site seem to be in there mid thirties to forties and being quite a bit younger than that I wasn’t interested in most of the profiles the site provided to me as a match or recommendation. There were member around my age as well as some significantly younger ones but they seemed to be few and far between. The second thing I didn’t like about the site was the absence of information about members on their profile page and as well as the site in general. The sites layout feels overly simplified and give you a sense that there’s something you’re missing out on. DateInTheCity.me services a very specific area but if you can take advantage of the site by living in the United Kingdom, it will certainly be beneficial for you. The site is very user friendly with a slick, but sometimes lacking, layout and feel. There isn’t too much to deal with so you certainly won’t feel overwhelmed, which I find with some of the other more extensive online dating sites. 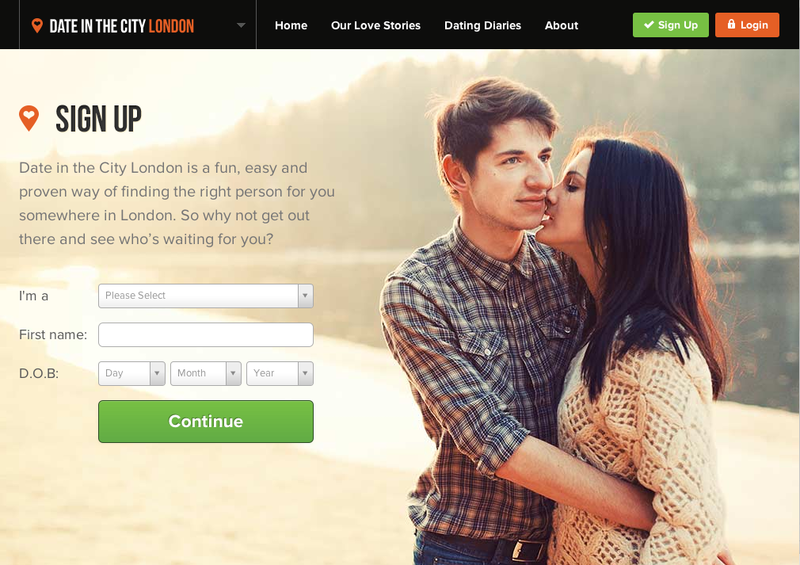 The site is simple but effective so If you live in the London or surrounding area and you got the hump to use your tool check out DatInTheCity and find someone for some slap and tickle.